What if you could claim overtime for work done while commuting? Daily work commute: Lost productivity as exhaust fumes win the race. WATCH: How hard should we really work? In Norway the time used by employees to do work while they were commuting to or from work is recognised as part of the work day, but this is, however, not the case in South Africa, according to attorney Tzvi Brivik of Malcolm Lyons and Brivik. This is despite the fact that employees use the commute to work by either replying to emails or planning for their day ahead. In order for the travelling time to be considered part of working hours, an agreement must be reached between individual employers and employees, and is subject to negotiation. Brivik says research indicates that the average commuter in Cape Town spends about 49.1 hours in traffic per year. The Mother City has a congestion level of 35%. 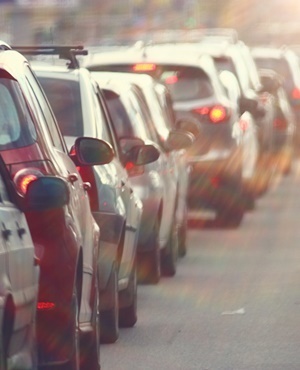 Johannesburg, the second most congested city in SA, has a congestion level of only 30%. A recent study found that more than 55% of commuters in London utilise their commute time to either answer or draft work emails. "Travelling to and from a work place has never been considered to be a part of an employee’s daily working hours," says Brivik, who specialises in labour law. South African law sets out an employee's hours, allowing for a 45-hour work week, with a maximum of nine hours per day if the employee works for five days; or eight hours per day if the employee works on more than five days per week. Although provision is made for overtime to be paid, this cannot exceed 10 hours in one week. "Allowing greater flexibility will not only improve traffic and congestion within the city, but also improve employees' productivity, as they utilise the time which they have furthering the employer’s interest as opposed to fighting their way through traffic," suggests Brivik. In his view, a city could improve both employees' productivity and economic output by improving public transport. This includes making sure that public transport provides adequate Wi-Fi, as well as charging points for electronic devices. "These considerations are no longer the purvey of more developed countries such as the UK, the US and Europe, but are considerations which our country should take into account in anticipation of increased traffic," suggests Brivik.